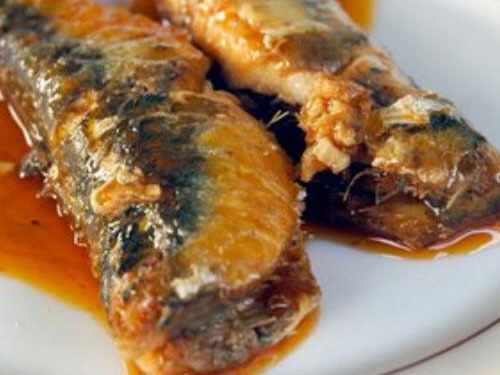 How about making your own home-made sardines. A great way to cook your sardine fish and tomatoes. For a version more filipino you can replace the sardines with galunggong fish. Dredge the fishes with flour and fry them on a shallow pan with some cooking oil. Set them aside. In another casserole, put some olive oil (about 3 tablespoons) and start sautéing your garlic, onion and ginger. Add the tomato paste, tomato puree and vinegar. Put your fried fishes and chili powder. Let it simmer over medium fire. Pour the rest of your olive oil. Salt and pepper to taste. Where can I buy fresh sardines?What is the name in Tagalog? The fresh sardines is actually called “salinas” in Tagalog. You can actually find them in any wet markets, the likes of Baclaran, Guadalupe or Libertad..Good luck!